« Erratic coronary care : It is almost a STEMI ! LVH is a common ECG finding .Classically it should produce tall R waves and deep S waves in V1-V3 . But it is well known deep q waves also can occur in LVH especially in severe forms of pathological LVH. Errors mistaking LVH for STEMI is more common than we realise . 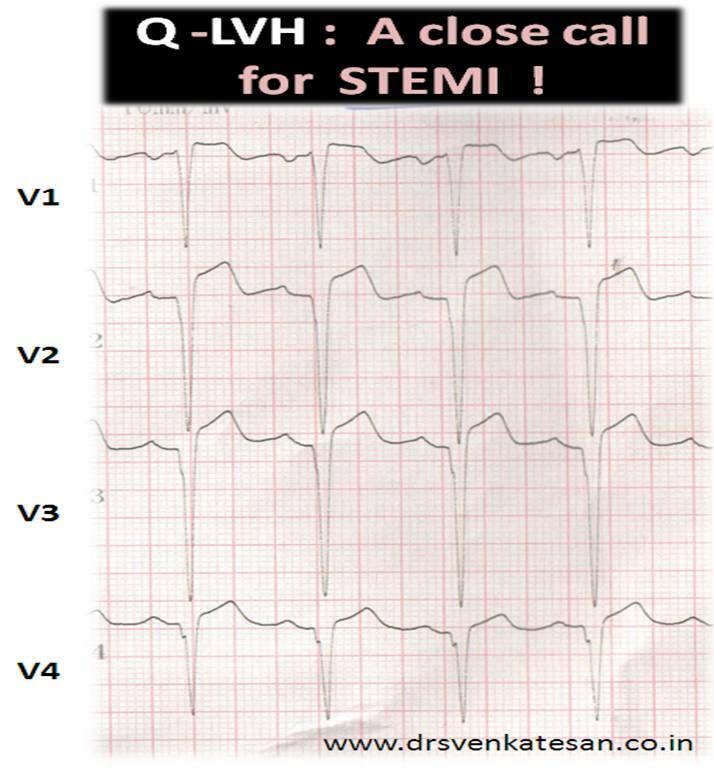 Propagation of the term Q -LVH with ST elevation will help reduce this common error in coronary care units.